The third CD by Arrigo Cappelletti in the Leo Records catalogue. Simplicity and spiritual intensity — these are the main features of Arrigo's playing. The Trio does not tolerate exaggerations and mannerisms which are the features of many contemporary ensembles. According to Arrigo, mannerism and exaggerations hide what really matters — the truth. Musicians hide behind the sensless vignettes because they are afraid of exposing themselves. Although 10 out of 13 compositions belong to Arrigo, he insists there is no leader in this band. 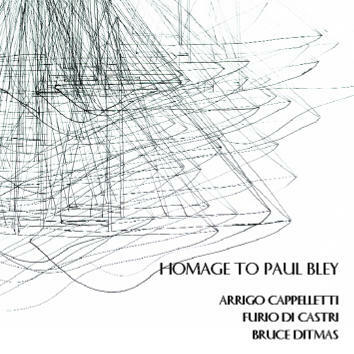 With Furio Di Castri on bass and Bruce Ditmas on drums, who both played with Paul Bley, it is a Trio of equal partners.